Home > Summer School > Summer School 2019 > History, Philosophy, Contemporary Studies > Did WWI really end in 1918? Home » DID THE FIRST WORLD WAR REALLY END IN 1918? November 2018 marked the centenary of the end of the First World War, commemorated in differing ways in different parts of the world. But did the war really end in 1918? This course explains why warfare, violence and major conflicts continued well into the 1920s, both in Europe and in other parts of the world such as the Middle East, India and South Africa. It explores how the end of the First World War created new divisions and tensions which were to dominate the twentieth century and continue to influence global events today. What ended in 1918, and what did not? Macmillan, M. 2001. Peacemakers: Six Months that Changed the World. London: J.Murray. Reynolds, D. 2013. The Long Shadow: The Great War and the Twentieth Century. New York: W.W.Norton & Co.
Tooze, A. 2014. The Deluge: The Great War and the Remaking of Global Order, 1916-31. London: Allen Lane. Click here for a comprehensive list of recommended reading for this course. 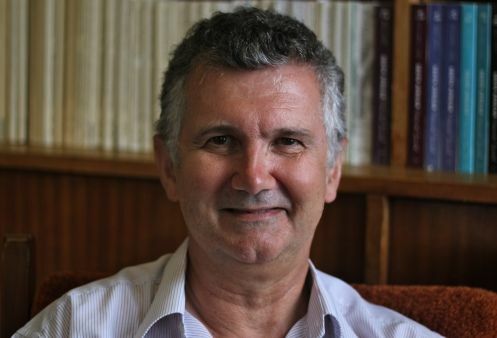 Emeritus King George V Professor of History at the University of Cape Town, Nigel Worden has held the posts of Head of the Department of Historical Studies and Deputy Dean. The winner of the Distinguished Teacher's Award, he has published several books in the field of historical studies, including Honourable intentions? Violence and Virtue in Australian and Cape Colonies, c 1750 to 1850.